Former Vice President of Nigeria and Waziri Adamawa, Atiku Abubakar (middle), receiving his Honourary Achiever Award from Vice President of Africa’s Young Entrepreneurs (AYE), Miss Ibada Ahmed, while Dr. Christoffel Weise (left) looks on, at the AYE Conference and Award at the InterContinental Hotel in Lagos on Thursday - (NAN Photo). Atiku made the fresh revelation after receiving the Honourary Achiever Award, at the Africa’s Youth Entrepreneurs Conference and Award. Guess you never knew that Nigeria’s former Vice President and business mogul, Atiku Abubakar, built his empire starting out as a transporter. Yes! Atiku said he started business as a transporter in 1971, while he was in the full employment of the Nigerian Customs, working at Idi-Iroko border. He narrated his story thus: “I came to Lagos on June 29, 1969 and after my two years training (with the Nigeria Customs Service); I was posted to the border station of Idi-Iroko. "At that time, the Badagry Road had not been constructed and the only means of transportation to the rest of the West African corridor was through the Idi-Iroko border to what used to be called Dahomey and what is now known as Benin Republic. "On getting to Idi-Iroko, my first posting, I was not married and what I discovered was that the most promising business was transportation. "Many pickup vans were transporting women traders from Ajase (Port Novo) to Lagos every morning, and every evening from Lagos back to Port Novo. "So, I asked myself, how I can seize the opportunity of this moving business. I came over to Lagos and in those days SCOA were the sole distributors of Peugeot, so I went to SCOA and I signed a hire-purchase agreement and bought four of those pickups and gave them to four different drivers and every day they will bring their returns to me and at the end of the month, I will go to SCOA and pay them. "I wasn’t married, so my salary was intact and in addition I was saving from what I was getting from my transport business. So, sometime, to be an entrepreneur you must have the ingenuity to be an entrepreneur". 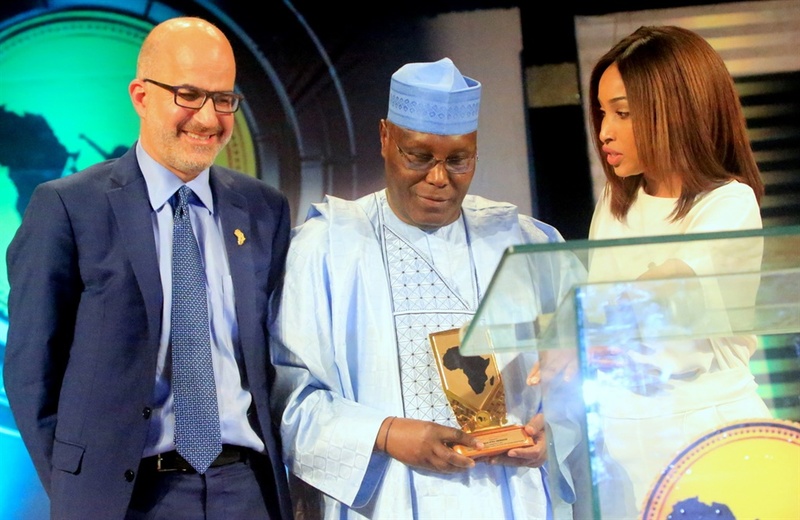 Atiku made the fresh revelation after receiving the Honourary Achiever Award, at the Africa’s Youth Entrepreneurs Conference and Award titled: "A Stand With The Giants," at Intercontinental Hotel in Lagos on Thursday night. Atiku dedicated his award as Honourary African Outstanding Entrepreneur to Nigerian youths, and urged the youth to have more drive towards entrepreneurship. The man who rose to the level of Vice President in 1999, is a politician that is also eyeing a return to governance. Last week, he left the All Progressives Congress, citing issues he was not comfortable with in the party. He said the political party had failed to leave up to its promise to Nigerians during the campaign that led to its victory in 2015.